Taking your startup technology business from idea to reality is a long and difficult challenge, but you don’t have to go it alone. Build. Brand. Blast. exists to help you create a core concept, get funding, and sustain a momentum to propel you to success. 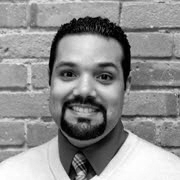 Jose Vasquez offers consulting services to startup tech businesses at all levels of development, from concepting (build), to branding (brand), to scaling (blast). Through intensive workshops with CEOs, COOs, and major decision makers in your company, Jose will help you find what you need to become successful as a startup tech entrepreneur—and identify the challenges you’ll need to overcome in order to realize your true potential. By the end of the process, you’ll have a solid action plan you can take away and put into practice, as well as the continuing guidance and mentorship of Jose and his firm, Quez Media, as you get closer to reaching your goals. From generating ideas to laying out the first draft of your business plan, to finding initial funding, the “build” phase is one of the most challenging. You’ll be setting the tone and direction for your business in its entirety and going out for investment, so it’s nothing to take lightly. Jose walks you through the process, helping your ideas find the footing they need to attract funding and build initial momentum. You’ve got the core concept and a solid business plan, but it’s time to generate some growth. Throughout the “brand” phase, you’ll develop the image and voice of your company, penetrating new sectors of the market and devising the strategies you’ll need to keep revenue flowing. Jose’s experiences in marketing and branding identify the tactics you’ll need to create in order to see the growth your company needs. Once you’re established with a steady cash flow and a solid customer base, the only thing left to do is scale. Technology companies have unlimited potential as long as they remain flexible and strategize appropriately. Jose takes your company’s current metrics, market research, and his previous experience to recommend an action plan for your startup tech company’s late stage growth. As a consultant and a business advisor, Jose has helped hundreds of companies expose new ground and tap the limits of their potential. With a multifaceted background and a knack for finding critical performance opportunities, Jose is a master in propelling startup tech growth. Workshops are available as an onsite visit, or hosted in Jose’s downtown Cleveland location. For more detailed information on Jose’s consulting services or to request an appointment, click here or call 1-216-400-8601 to get in touch with Jose directly!